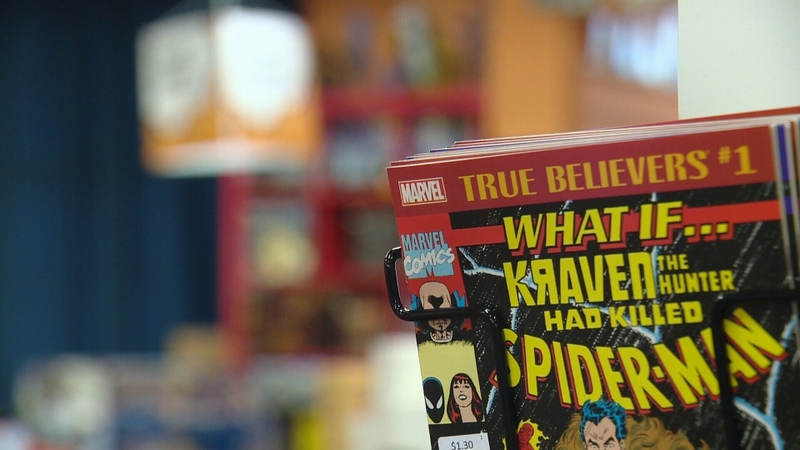 Just shy of 20 years old, Edmonton’s Happy Harbor Comics will close in the New Year. While it may be the end of an era, the announcement also marks the start of a new chapter for store co-owner Jay Bardyla. “Knowing there’s more to the world than my orange walls here is something I have to start checking out,” he said. A changing industry also factored in the decision. According to Bardyla, publishers have made it more difficult to accommodate customers’ requests and the store’s supply needs. Happy Harbor Comics first made the announcement Tuesday evening on Facebook. Nearly 200 followers have written its owners or wished them farewell. “Sounds silly to say, but I was ready to cry last night,” said customer Steve Potter. Employee Andrew Foley said the store means a lot to not only the staff, but also the customers it served. “I’m trying not to think too hard about that. Just trying to get through the next couple of weeks without bursting into tears,” Foley said. Bardyla said the store will close on Jan. 31. Happy Harbor Comics announced Tuesday that it would be closing in the New Year, after nearly 20 years of serving Edmonton readers.